Line an 8 x 8-inch baking pan with parchment paper, leaving an overhang on two sides. In a medium saucepan, bring 2 cups of water to a boil over medium-high heat. 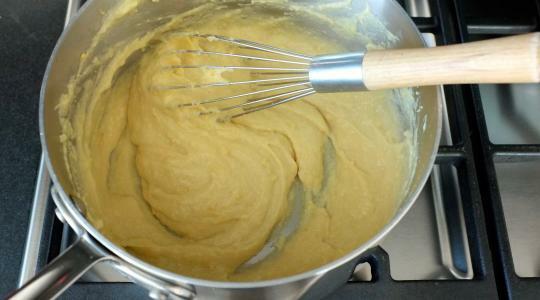 Gradually but vigorously whisk in the chickpea flour until smooth. Reduce the heat to low and cook, whisking often, until the mixture thickens and pulls away from the sides of the pan, about 5 minutes. 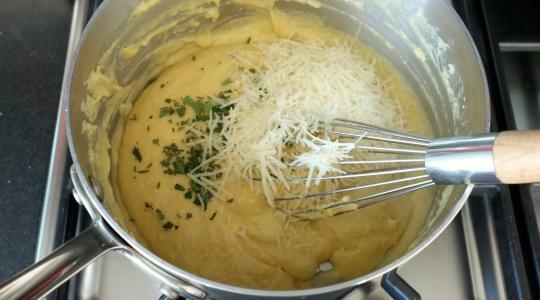 Whisk in the Parmesan, sage, salt, and pepper. Pour the mixture into the prepared pan and spread evenly. 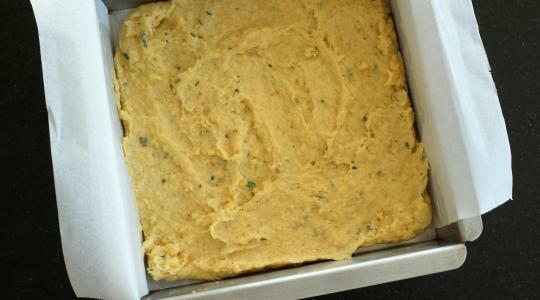 Refrigerate until completely chilled, about 30 minutes. 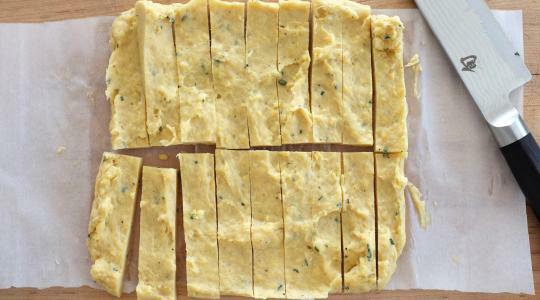 Grab the ends of the parchment and lift the square onto a cutting board. 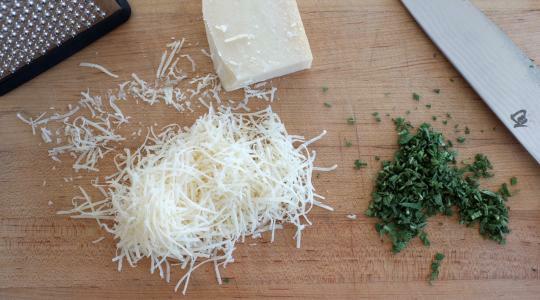 Slice the square in half then slice into ½-inch wide pieces. Pour in ¼-inch of oil into a nonstick skillet over medium heat. 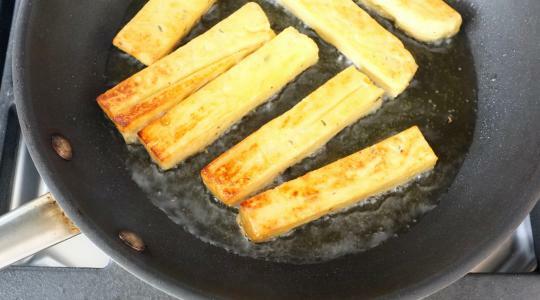 Once the oil is hot, add half of the fries and cook them 2 to 4 minutes per side, until golden brown and crisp. Place them on a paper towel lined plate. Cook the remaining fries. 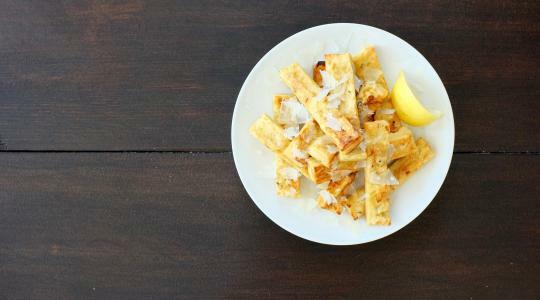 Serve with a wedge of lemon and sprinkle with Parmesan.